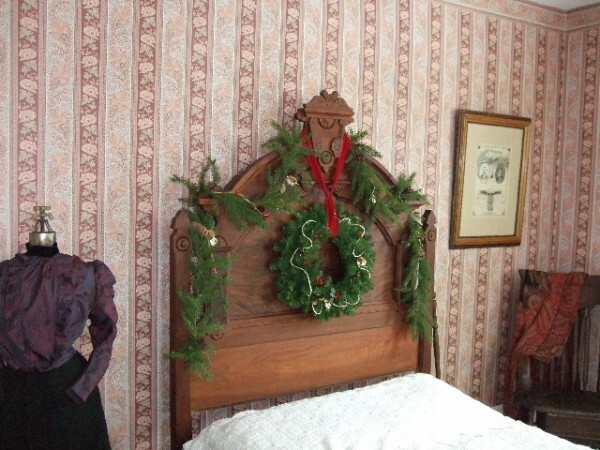 The traditions of Christmas that we take for granted today — lavishly decorated trees, pine swags, gaily wrapped gifts and Christmas cards– became universally popular during the Victorian age. 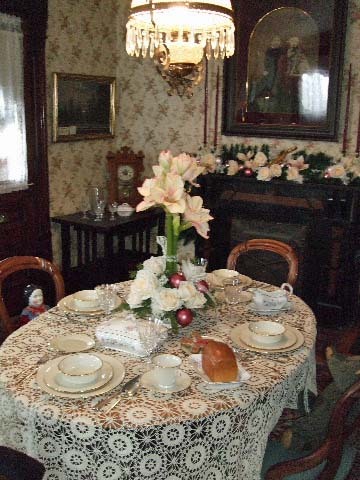 Therefore it is very fitting that the 1886 John Smart house, a grand Victorian Eastlake structure located at 206 North Elmwood Street, and headquarters of the Medina County Historical Society (MCHS)- would host a house tour extolling that fabled era. Main parlor of the John Smart house. 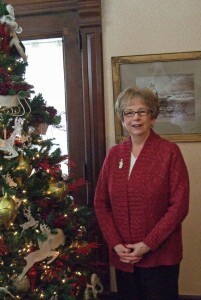 The event, brainchild of MCHS board member Barbara Dzur, and probably the most ambitious fund raising project ever taken on by the MCHS, raised a “substantial” amount of money for the organization. The nonprofit organization, which is both a museum and a research center, lost its major source of funding this year. 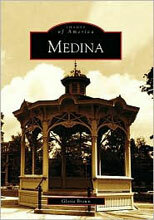 In past years, the Medina County Commissioners allocated $20,000 annually to the MCHS. However, due to the current, gloomy financial outlook, the organization did not receive any funding this year — and will not any time soon. 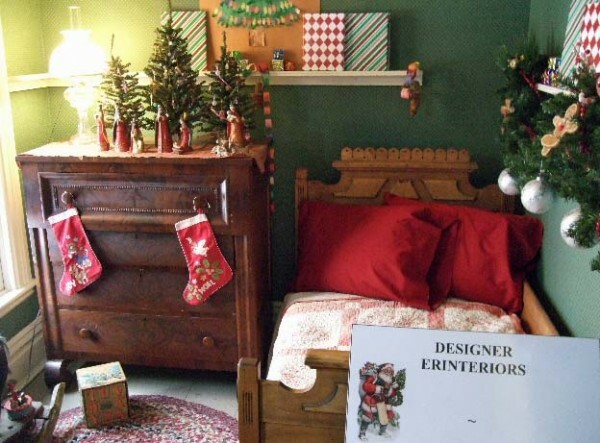 Each room was decorated for the holidays by a different local decorator — including The Interior Design Studio, Astin/Muckinsturm Interiors, White Leaf Design, House of Flowers, Erinteriors, Jean Lydon Company and Boyert’s Greenhouse and Farm. 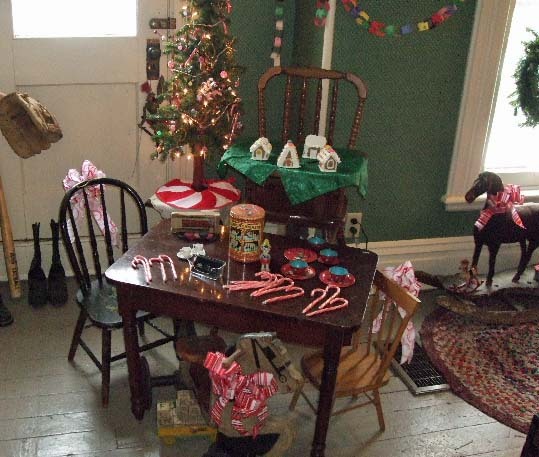 Docents stationed in every room, described Victorian Christmas customs and told stories about the history of the home and its former residents. Funding for the house tour was provided by such sponsors as Summa Health, Armstrong Cable, Westfield Bank, Chippewa Stone and Monarch Carpet One. 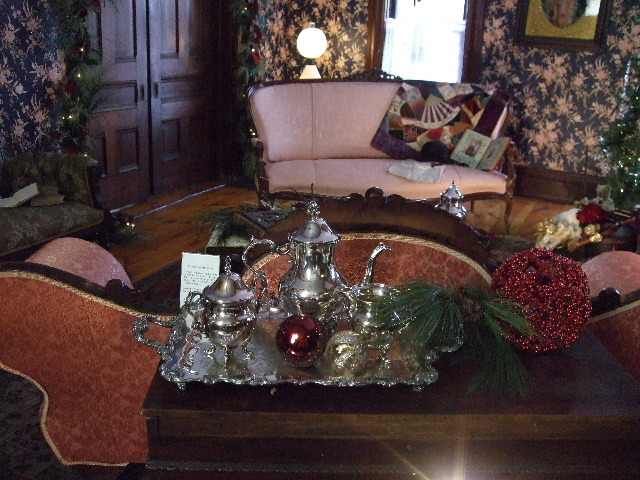 The house tour lasted four Sundays — from November 28 to December 19 and admission was $10.00 for adults and $5.00 for youth under sixteen. 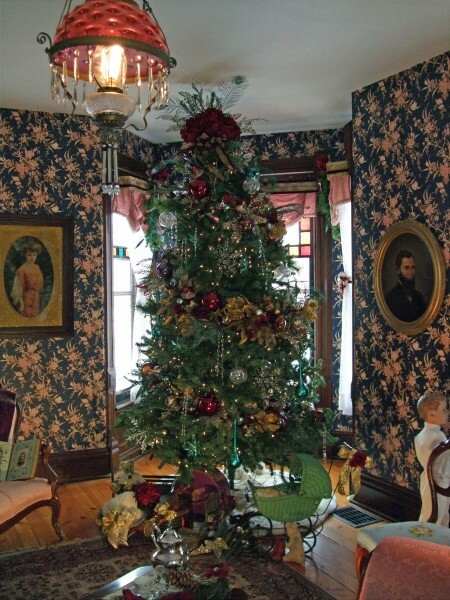 Lavishly decorated tree in the main parlor. Victorians were fond of decorating with peacock feathers. Play room is decked for the holidays. The family's best china awaits the Christmas feast. 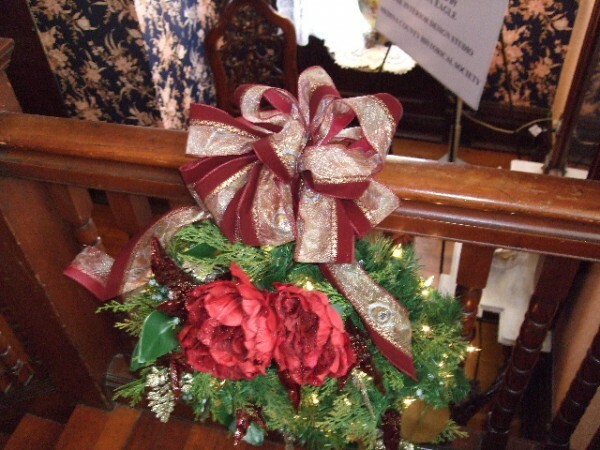 Victorians believed that greenery in the house at Christmas brought good luck and chased away the evil spirits. Were a bunch of volunteers and also commencing a whole new scheme in your group. Your web site offered us all having beneficial information to be able to works of art on. You must have done an extraordinary undertaking and also your overall neighborhood might be fortunate for you. YOU ARE TRULY AMAZING!!!! Would have never guessed that was an alley at the TCSMall!!!! What a fun seiers/cool project!If you need/wish to capture another artist in her environment I hope you’ll consider me would be so open!Cannot wait til our paths cross again Question: Could I possibly connect with you regarding a pic or 2 you may have generously taken of my sister’s baby on Thursday nite at Hot Summer Arts, Harbor Bay Plaza?She’s 11 months, Skylar Shea Peruski if you ever have a spare moment, I would be thrilled to see what you have of her (she was near my art display, with her mom, our mom and dad, etc. )I will pay you for your time.Thank you so much Tom!